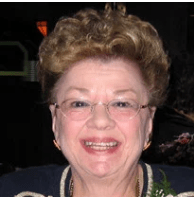 Shrewsbury – Constance H. “Connie” (Therrien/Higgins) Berry, 74, of Shrewsbury, passed away peacefully with her family at her side Feb. 27, 2019, after a brave battle with illness. She is survived by her son, Paul S. Higgins; his wife, Janice (Ruddy); and her grandson, Brian M. Higgins. She was preceded in death by her husband, Richard P. Berry, and her siblings, Paul, Lucille Power Selby, Roland, and Pauline Wesson. She also leaves behind many nieces and nephews, all of whom she held dear. She will be deeply missed by her “girls”- cats Smokey Lynn and Sally, who were her faithful companions for many years. Connie was born Oct. 28, 1944 in Worcester, the youngest of five children to the late Raymond and Edna (LaReau) Therrien. She lived most of her life in Worcester and surrounding towns. She attended Holy Name and Worcester Girls Trade schools and received a diploma from Broms Academy of Hairdressing. She was particularly proud of the many penmanship awards she received for her elegant cursive writing; a skill she held right up until her death. She worked many jobs over the years, but her favorites were as a nurse’s aide for the Sisters of Notre Dame de Namur in Worcester and as a housekeeper and cook for the brothers at the Assumptionists in Shrewsbury. Connie loved her son, Paul, fiercely from the time she adopted him in 1971, always claiming that he was her biggest success and joy in life. She was proud when Paul married his wife, Janice, and welcomed her into the family as the daughter she never had. She shared a beautiful, loving relationship with her grandson, Brian, which began when she selflessly stepped up as a childcare provider for him during the first 5 years of his life. She delighted in taking him with her everywhere she went. When not spending time with her family or working, Connie loved going to the beach, particularly Hampton Beach in New Hampshire. She enjoyed listening to Neil Diamond, reading Danielle Steel novels, and eating popsicles. The family wishes to thank all the various caregivers Connie encountered over the past six months, especially her team at Navicare and Elder Services of Worcester, Inc. We are forever grateful to you for making her last days safe and comfortable. Family and friends are respectfully invited to attend visiting hours Sunday, March 3, from 4-7 p.m., at the Chiampa Funeral Home ~ 5 Church Road, On the Common, Shrewsbury Center. Her Mass of Christian Burial will be held Monday, March 4, at 10 a.m., from Saint Rose of Lima Church ~ 244 West Main St. in Northborough. Family and Friends are kindly asked to go directly to the church. Interment will follow at Notre Dame Cemetery in Worcester. In lieu of flowers, donations can made in Connie’s name to the Worcester Animal Rescue League or the Massachusetts American Heart Association. To view Connie’s online tribute, share a memory or offer a condolence, please visit www.chiampafuneralhome.com.